Malaysia has a huge task ahead in rebuilding confidence and trust in its companies and the local CG landscape. 2018 was a year of discovery and revelations. Malaysians realised that they could, after 65 years, effect change when they proactively chose a new government during the 14th General Election. Likewise, the ensuing removal and change of guard at the upper echelons of Corporate Malaysia against the backdrop of a series of dramatic revelations, further highlighted the challenges within the Board and Management teams, reinforcing the need for change. And making this choice was, the most difficult action to effect in the overall process of change. After the long, arduous journey of gathering information, identifying alternatives and weighing the evidence, the difficulty in making that choice amongst your alternatives and finally, taking action stems from the inertia of habit and keeping to a familiar routine, although knowing full well, a change is needed. Malaysia has been trying to effect a mind-shift amongst its people. From our education, businesses to social and environmental concerns, we are pushing towards our goal in moving the nation towards greater social and environmental mindfulness, better jobs, higher income levels, better corporate governance in companies and overall forward-looking solutions that will enable a more dynamic society to face the future. To achieve our goals, we need to progress from being merely resigned and tolerant of our circumstances to action and accountability. It is hard work. In the same vein, for Corporate Malaysia to rebuild the trust that was diminishing over the course of the years, there needs to be a tangible shift in the mindset with a show of accountability and proactive transparency, and an overarching stronger commitment to pushing towards a more ethical community with higher Corporate Governance (CG) standards. Despite the scandal-plagued year, Malaysia ended the year, moving up the ladder in terms of market accountability and transparency. According to the 2018 Corporate Governance Watch report published by the Asia Corporate Governance Association (ACGA) and CLSA, the country moved from seventh in 2016, to fourth in 2018, out of 12 Asia-Pacific economies. The report also pointed out that Malaysia has in place, a robust corporate and financial regulatory framework which played a key part in the improvement of the country’s 2018 CG ratings. In addition, Malaysia was the biggest gainer amongst regional rivals, which includes Australia, China, Hong Kong, Japan and Singapore. Coming hot on the heels of one of the country’s most challenging years politically and in the corporate space, what does this really mean? Long-term growth and sustainability are becoming more and more challenging. Companies are working harder to navigate in an increasingly volatile, uncertain, complex and ambiguous world further compounded by stakeholders who demand performance and higher accountability. Without clear values or a framework as a guide, it is easy to fall prey to misdemeanours when faced with problems or crisis. 2018 is a prime example of decisive action in the face of adversity and the results are encouraging. It shows that markets are willing to forgive mistakes and move forward when Companies demonstrate the will to do the right thing. This brings me to my final point of the ongoing need to enhance Board and Director effectiveness. 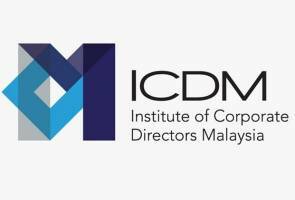 When the Institute of Corporate Directors Malaysia (ICDM) was officially launched by the Minister of Finance of Malaysia on 1 October 2018, the Regulators viewed the move as the installation of the final piece of the Corporate Governance Blueprint laid out by the Securities Commission Malaysia in 2000. It charted the market’s journey and readiness to shift from ‘regulatory discipline’, ‘market discipline’ to ‘self-discipline’, a state of self-governance where all three (3) disciplines – regulatory, market and self – are functioning effectively that the optimal balance of facilitative regulation, market integrity and investor protection can be achieved. This mind-shift, although, by far the most challenging and arduous, will be the most rewarding as it will create a self-driving momentum within the marketplace that will have a catalytic effect on the decision-making quality and ultimately, the quality of boards and Companies. Indeed, better boards make for better companies and better decision making. ICDM is the last leg of this thinking, to internalise and encourage more responsible and accountable business conduct by effecting the tone from the top, from the level of boards. We are looking to effect a mindset change where Corporate Malaysia will ultimately view accountability and disclosures as avenues to build greater trust and brand premium for their companies, and not just as a watchdog tool. The significance of corporate reputation in this new era of business cannot be underestimated. Corporate reputation covers credibility, reliability, responsibility and trustworthiness. The essence in building positive corporate reputation stems from a good corporate governance structure – an effective Board, measured through a board effectiveness evaluation. As prescribed in the Malaysian Code on Corporate Governance, boards of large companies should engage independent experts periodically to facilitate objective and candid board evaluations. The definition of board effectiveness has certainly shifted dramatically over the past decade as directors are now faced with more complex oversight accountability, risks and liability. It may seem that Malaysia is late to the game, but I say, better late than never. We can fast-track our progress and learning process by picking up key learnings and best practices from other countries and notable Institutes of Directors. It is essential for us to start right from the beginning and define correctly what it means to 'enhance the effectiveness of Boards and Directors'. Our business leaders must set the example of what a values-driven leadership looks like and the strength of character required to steer a board, and company towards greater accountability and performance. In doing so, this will reinforce the value of strong CG and rebuild the trust in Corporate Malaysia as ICDM advances its agenda in building a pipeline of high-calibre, ethical and respected directors in Malaysia. * Michele Kythe Lim is the President and CEO of the Institute of Corporate Directors Malaysia (ICDM). ** Views expressed here are strictly of the author's and do not necessarily reflect Astro AWANI's.